I posted a worst-case target of 9.35 here earlier, but because things might not turn out that bad, I am proffering an alternative at 13.527 that allows for a less dire outcome. 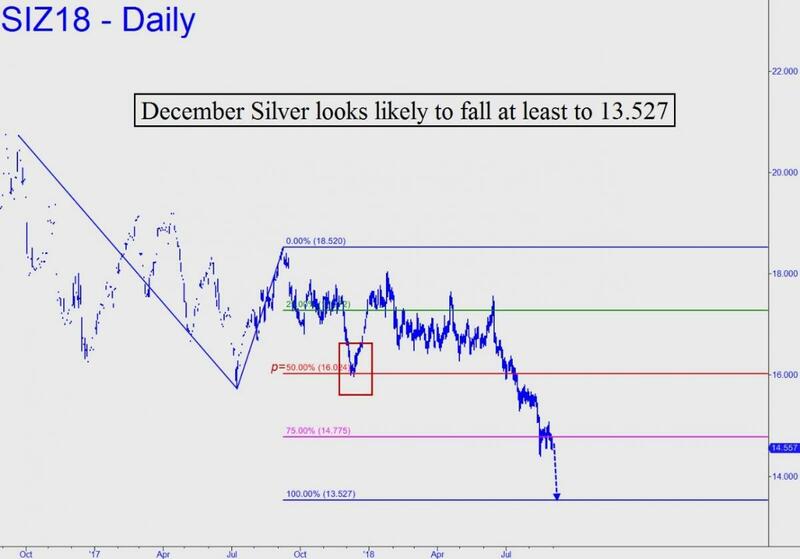 However, that is my minimum downside projection for now, and regardless of what your long-term strategy is for silver, I would not recommend buying any more of it until 13.527 is reached. For purposes of bottom-fishing, you can expect a significant bounce from that number, given the precise bounce in December 2017 from p=16.024.